Hot Fish & GLM boilies have been developed in conjunction with big fish angler and former world record holder Emir Caro. This boilie simply has years of experience and testing under its belt – being one of his own favourite pre-Dynamite recipes. A proven ‘big-fish’ catcher, the Hot Fish boilie is based on an exclusive mix of quality fishmeal and bird food, which when combined with the unique blend of natural Asian flavours and spices instantly fill the angler with confidence from their very first sight and smell of the bait. The tailor-made base mix creates a tight textured offering that at the same time demonstrates the incredible leakage rates of a boilie with a much ‘looser’ texture, making it perfect for both quick hits and sustained campaigns or even pre-baiting. Other ingredients, alongside the special ‘spice mix’, we have included high-grade tuna meal, often regarded as one of the world’s best fish attractors, the finest New Zealand Green Lipped Mussel, another proven feed stimulant and food-grade garlic. 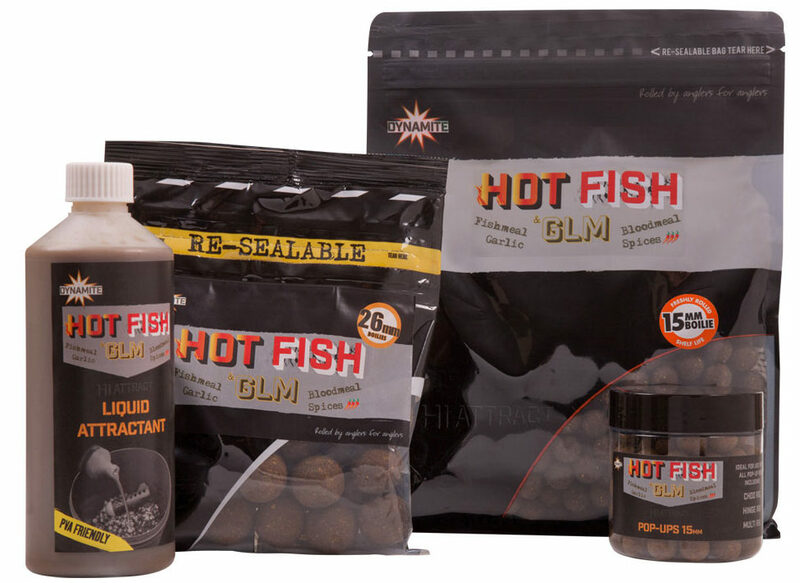 The Hot Fish & GLM boilie contains no synthetic flavours, colours or additives. 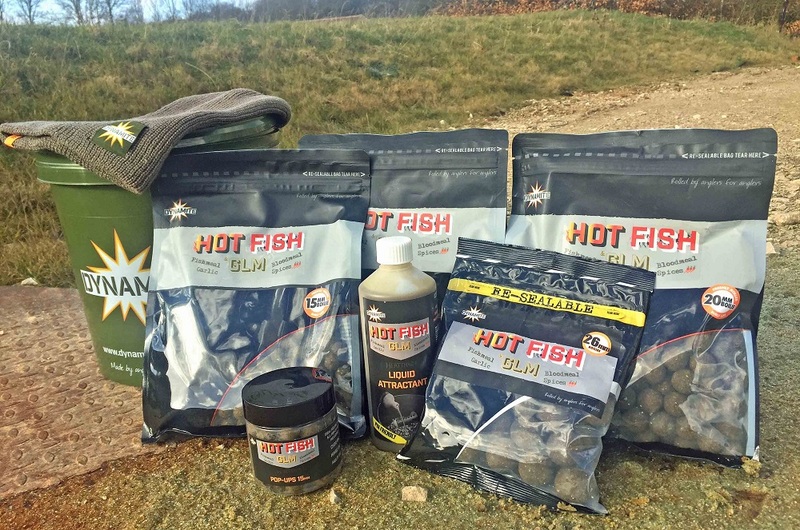 The Hot Fish range includes both 15mm and 20mm shelf life boilies, available in one kilo bags and a slightly hardened 26mm version, sold in 350g bags. There is also a matching food bait pop-up and a corresponding 500ml PVA-friendly liquid attractant. To get your hands on this set as well as a bucket and a hat (see below) answer the question below as a COMMENT on this webpage (scroll down this page) … Good luck…. QUESTION: What venue did Emir recently catch a 35kg mirror carp using Hot Fish? Hope to be the winner and test your baits in Germany!